The price is for ONE tube only! 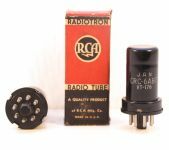 JAN 5654W / 6AK5W Early Square Getter | The price is for ONE tube only! Vacuum pentode | The price is for ONE tube only! 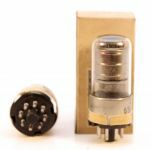 Triode-Pentode | The price is for ONE tube only! 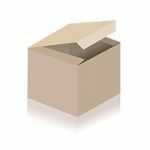 Double triode | The price is for ONE tube only! 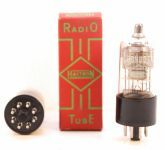 Double triode-pentode 7 The price is for ONE tube only! 12 AY 7 - The price is for ONE tube only! Vacuum Pentode| The price is for ONE tube only! We have a huge stock of NOS tubes by brands like Telefunken, Valvo, Klangfilm, Siemens, etc. Everything we have is listed here. No further stock. Please note: The cheaper tubes are only listed in the downloadable PDF. If you are intersted in any of those, please send an inquiry.